Hotels in de buurt van Velorbis Bike Rental - The essence of Copenhagen cycling culture! You make us very happy! We are very happy that you liked our ambiences. We wonder what we could have done better, in order to get the fifth star? Goed gelegen aan de rand van het centrum. Op 5 minuten lopen van een metro/treinstation. Het hotel ziet er goed verzorgd uit. Alles is schoon en netjes. De kamer was vrij klein, maar voor een City-trip heb je niet meer nodig. Het bed was comfortabel. In de buurt zijn voldoende restaurants voor ontbijt en diner. Het personeel is erg aardig en behulpzaam. Het gratis wijntje om 5 uur was leuk meegenomen. Thank you for your kind review. It's great to learn that you enjoyed your stay and that you appreciated my colleagues at the front desk. They are indeed a main key to our homey atmosphere. Our intention is to appeal to guests that like our style and ambience. We are part of an experience of the real Copenhagen, because we are locally rooted and include local traditions in our breakfast style for example, and local designers in the interior décor. Welcome back next time you come by Copenhagen! Thank you very much for your review. We appreciate you taking your time to get back to us. We take all feedback very serious, whether it is postive or negative. We agree about room sizes, because 2 of our room categories are quite small. We actually call them Tiny and Small. So maybe you booked one of those, or maybe a Medium room which is for one or 2 people - but for 2 people it is small. Book a Large or an X-large room if you want more space, or maybe a Junior suite which is situated in the tower of Ibsens Hotel and has a gorgeous view to Copenhagen downtown. We are pleased to read that you liked Cozy Hour. Cozy Hour is a great opportunity to meet other guests, share travel experiences or maybe, just digest the day's experiences. Pleased to hear that you liked our location. The next time you are visiting, you should try visiting the Nansensgade area just next to the hotel. Here you will find small, local and interesting shops. We hope we have the chance to welcome you back. Receptie restaurant prima, oké service. Hotel is vies en slecht onderhouden. Schimmel op de badkamer. Kleine kamers. Toilet staat onder douche. Geen aanrader voor een gezellig weekendje Copenhagen. Italiaans restaurant naast het hotel is top! We appreciate feedback whether negative or positive. We are sorry you wasn't satisfied with your stay. We have 6 room categories and maybe you booked a room too small for your liking. Our bathrooms are of the traditional Danish type. Sorry that you didn't like it. 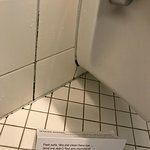 We would appreciate if you would send an email to Head of Service, Heidi Kamp Christiansen, at hkc@arthurhotels.dk and told her, which room number you stayed in. It would be a great help for our hotel technicians. We would like to go through the room. Ibsens Hotel was totally refurbished in 2009. We chose a minimalistic scandi style, and it all was conducted by good interior designers. We decided to replace cupboards with shelves, hooks and hangers when the hotel refurbished. We thought that cupboards took up too much space and that most guests would prefer a little more room space to cupboards. We added place for the luggage beneath the bed too. Prima hotel met zeer vriendelijk personeel. Leuk buurt, net buiten het centrum. Het ontbijt is prima maar de ruimte wat krap. De kamers aan de achterkant kijken uit op een binnenplaats waar ook de buitentafels van het restaurant staan. In de zomer zal dit overlast kunnen geven. Thank you very much for your kind review. We very much appreciate all kind of feedback, whether it is negative or positive. Pleased to hear that you liked our location and the staff here at the hotel. I will pass it on to them. Thank you for mentioning our New Nordic Breakfast. It is a very important trademark for us and we are very proud of it. We are looking forward to welcome you back. Goed bereikbaar van af verschillende publieke transportsystemen als de bus, metro en trein welke allemaal directe verbindingen hebben met het vliegveld. Het hotel beschikt over prima kamers en prima bedden. De kamers zijn niet erg groot, maar dat is ook niet nodig wanneer je er alleen maar slaapt. Vanuit het hotel ben je in no-time in het centrum. Vergeet niet Torverhallerne te bezoeken voor een lunch of diner. Food hallen to go of to stay, het kan er beidde. It's good to read that you enjoyed our location as much as we do. In our opinion, we are situated in one of the best locations in Copenhagen with almost everything within easy reach. We hope to welcome you back soon again.